With a timeless design and made with environment-friendly quality PU leather, our Artisan Long Wallet is a perfect match to your casual or formal outfit! Besides, it features a slim design and made light-weight for easy carrying. With plenty of card slots and a main compartment for money notes, make this your daily wallet today! 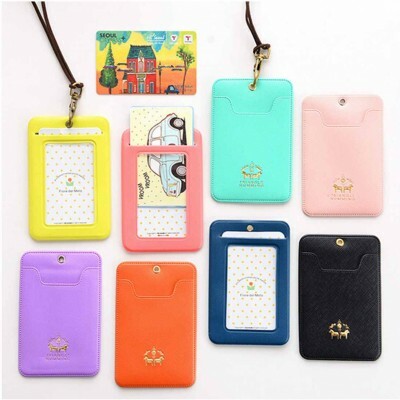 11 x Card Slot Holders for name cards, transportation card, credit/debit cards and more! Our Card Holder Project B is a gorgeous yet simple card holder perfect for office workers, students and more! Coming with a lanyard and 2 card slots, you may store and organize your cards such as office pass, student card, transportation card and more! Get this lively card holder today! Included: Comes with FREE durable lanyard! Well-designed and slim, the Classique Card Holder is a great organizer for protecting your cards! Made with a durable and splash-proof material, it is perfect for both office workers and students alike. Store away your office / school ID, transportation card, identification card or diving license with ease! Coming in 6 different colours, select your favourite ones today! Our DailyLike Curve Coin & Card Pouch is a stylish and handy organizer! 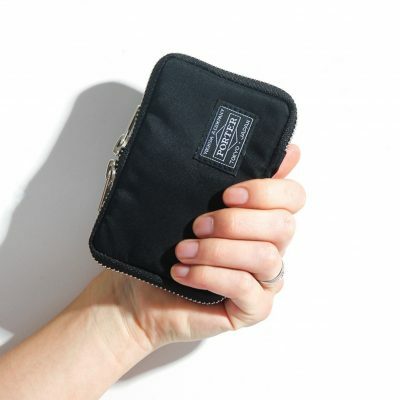 Classic and light, it stores your coins, keys, cards, earbuds and any other small personal items with ease! Inside, it is lined with quality material that is soft to your touch. Also, it has a slot which holds your cards in place and is spacious enough to even hold small cosmetics such as lip balm and lipstick! On the outside, there is a ring holder for you to attach keys! Simple and classic, let it be your personal pouch today! From house keys to cars remote keys, store them safely with our Porter Tokyo Key Case! With plenty of key holders and a spacious main compartment for cards and coins, you can be sure that your daily essentials will be organized easily. Coming in 4 sleek colours, say good-bye to bulky and messy keys today! Looking for a similar slim card wallet? You may be interested in our Porter Tokyo Wallet! The AirSlim Card Holder stores all your essential cards in one handy and classy wallet! With a single look, you will be able to have a glance at all the cards you have while keeping them safe! 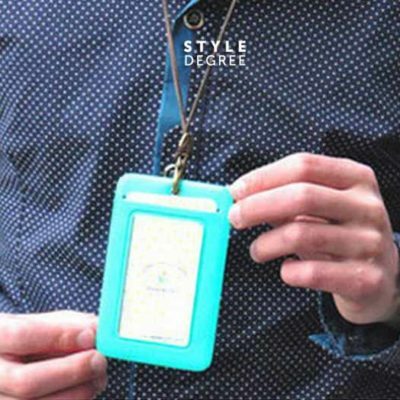 Adorably designed and vibrant, our Citrus Card Holder is great for both office goers and students alike! Made with an exquisite and durable material, the card holder has 2 slots to protect your cards. You may slot in essential cards such as your Office/School pass, ID card, transport card and more! Coming in 6 different designs with a matching lanyard, there surely a design for you! Stay fresh and bring along our Citrus Travel Collection on your next trip!